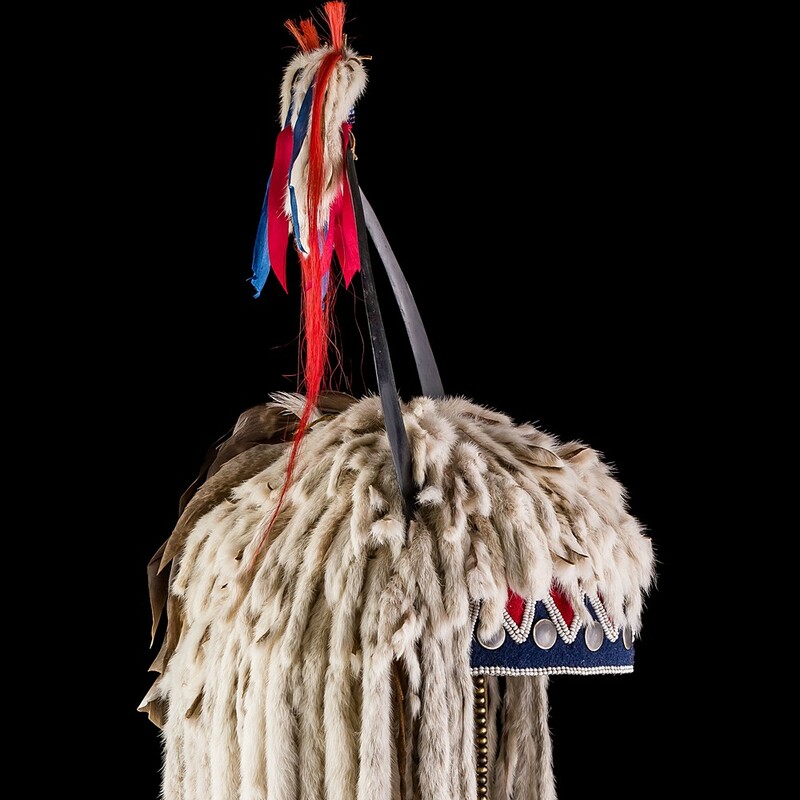 Premium-quality reproduction of a mid- to late 19th-century Plateau or Transmontane style ermine split horn bonnet. For sale or trade. Made by me in 2018. 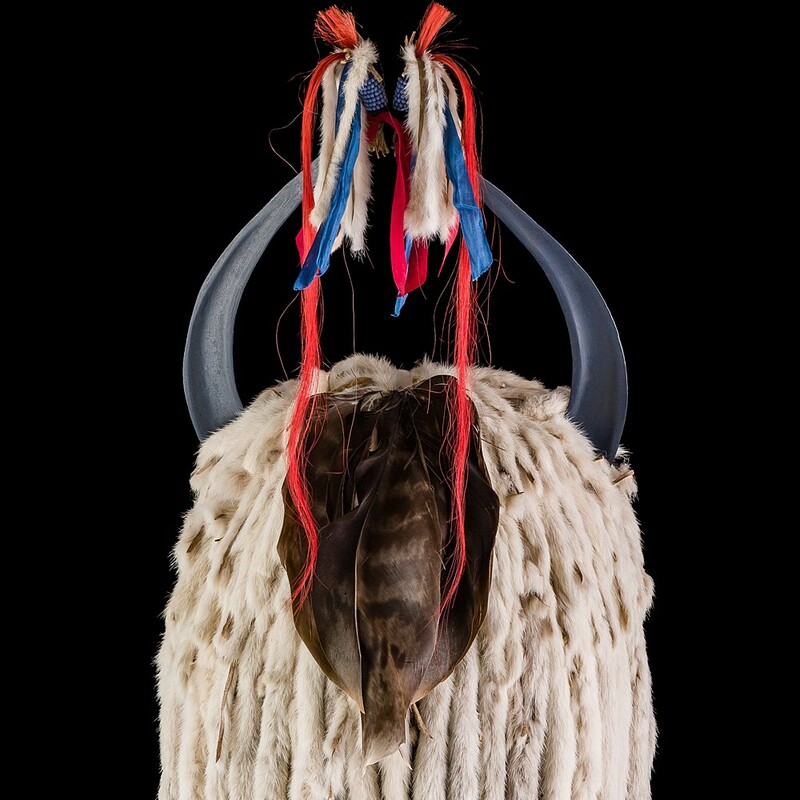 Split, beveled and polished buffalo horns painted dark-blue on the reverse, decorated with red dyed horse hair, ermine fringes and wrapped seed beadwork over buckskin at tips, are attached to the leather cap. 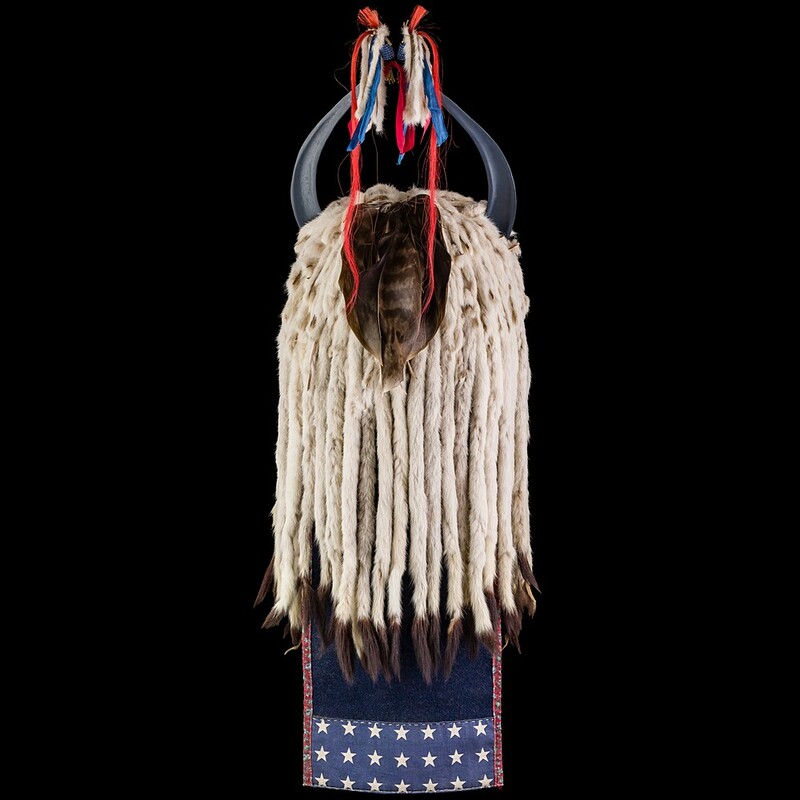 The cap of commercial cowhide, clothed with blue trade cloth and backed with old-style red calico fabric with a flower motif, is covered with ermine fringes and has 29 ermine tubes hanging from the back over a short trailer of blue wool trade cloth. 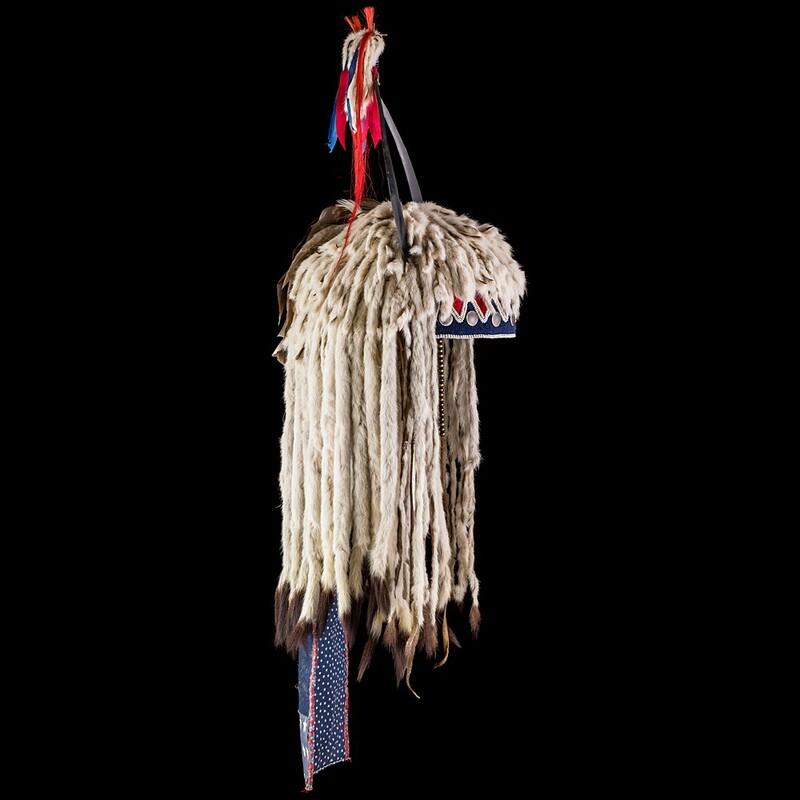 The bundle of real eagle feathers is attached to the top of the cap. The browband is decorated with red and blue cloth applique with white with pony beads outlines. 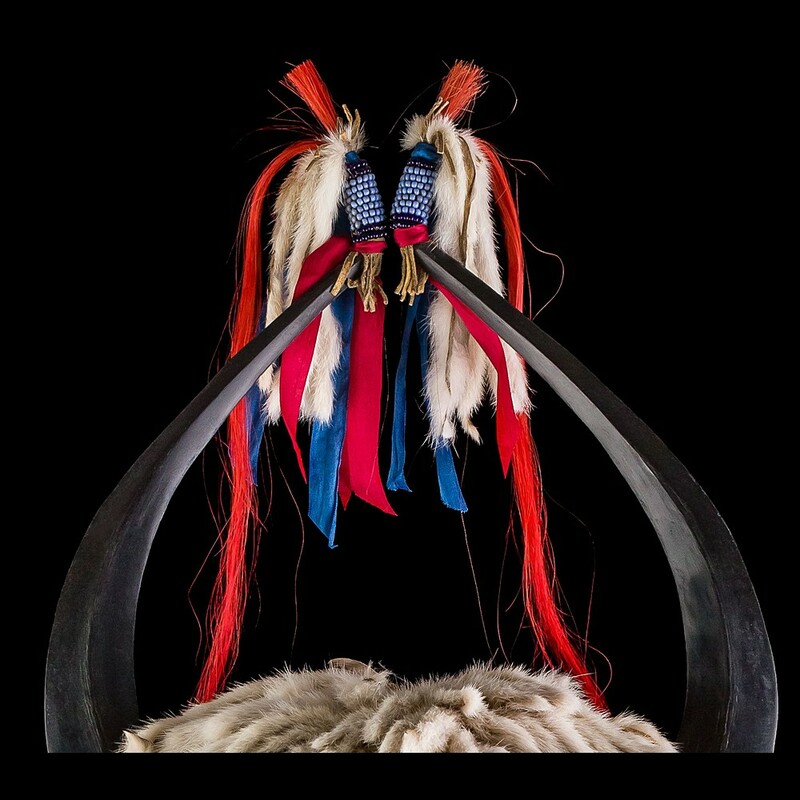 From the tip of each horn, a pony-beaded buckskin thong is attached to the center of the cap. All works are done with linen thread and real sinew . The bonnet is given an overall "aged" appearance to look and feel like a real old artefact from the Buffalo days. Perhaps you have an opinion about this item? ● Why do you like it? ● What do you like most about it? ● What it still misses? Please do not write too simple and monosyllabic reviews. 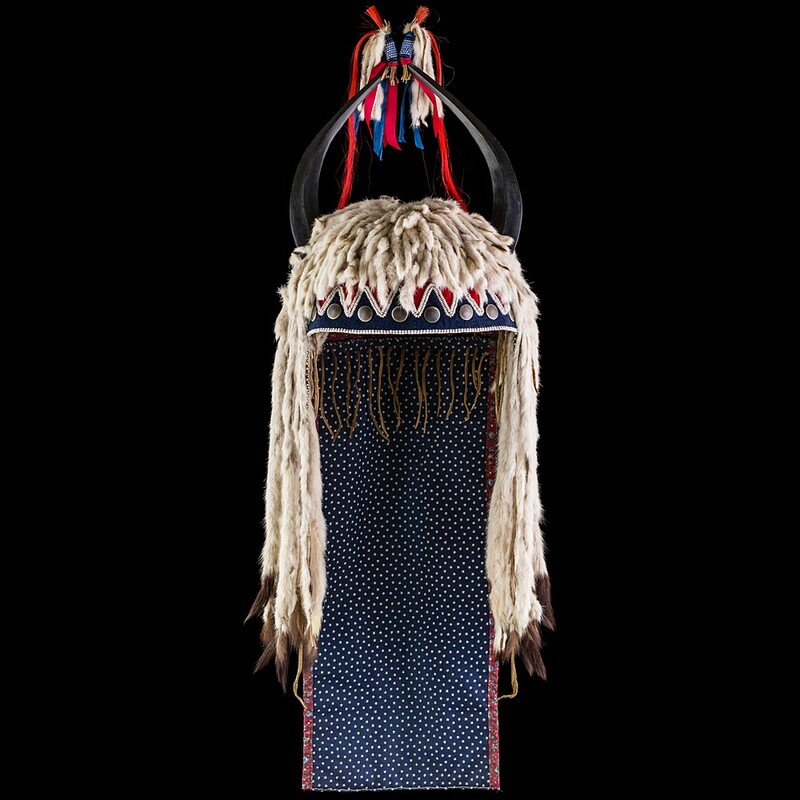 It is interesting that this year 231 gapers stupidly stared and did not dare to buy namerican item «Plateau Ermine Split Horn Bonnet», and also did not like, share, bookmark and left no comment. And you're also one of them? 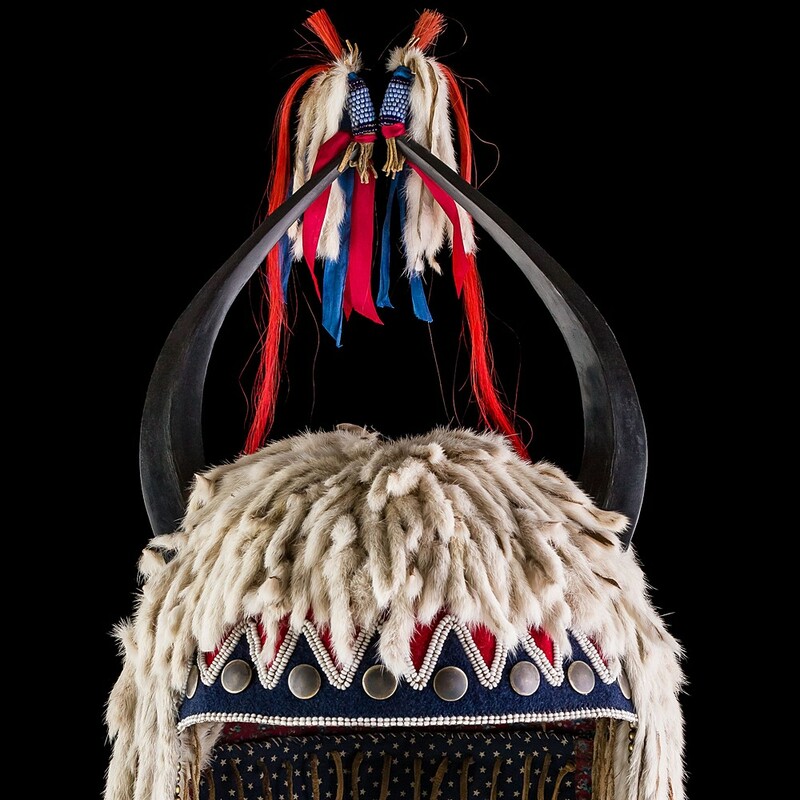 It is forbidden to copy and / or otherwise use content from the «Plateau Ermine Split Horn Bonnet» without a direct active and indexed hyperlink to the original in the form: Source: https://4colors.gallery/.